Industrial designers understand just how much looks matter. That's why they work to make their creations stand out on the shelf or in the showroom. Complex curves, the smoothest of high-quality surfaces, compelling product renderings. Use the freestyle design capabilities to do rapid freeform surface creation and attach surfaces to your parametric model. Surfaces and curves can instantly adapt to design changes, reducing product development time. 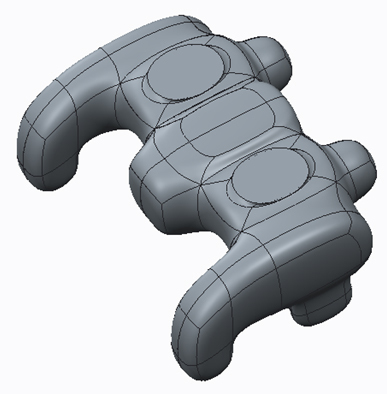 Build free-form geometry at any point in the design, using as many or as few constraints as desired, for maximum design flexibility. Full control over the degree and multiplicity of the surface, Manipulate surfaces faster with direct surface editing and directly edit and control the surface math with multi resolution control point editing. Entire program carries modeling and other design applications. Students pursuing diploma and degree programs in Mechanical, Automobile and Aeronautical can enroll this program. Learning from a PTC Certified Instructor. Exposure to PTC training methodology & curriculum. Studying the finest practices and applications . Each student will receive Personal Creo 2.0 Student version license software. 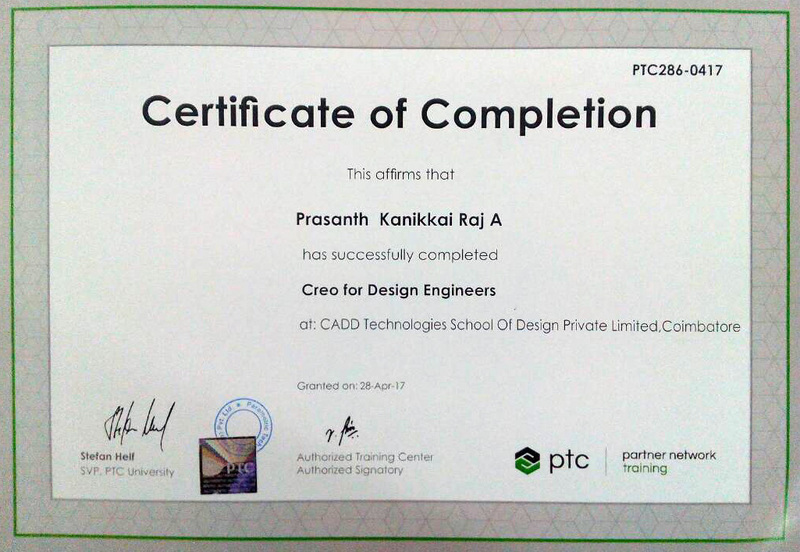 PTC course material has been provide to the individuals.